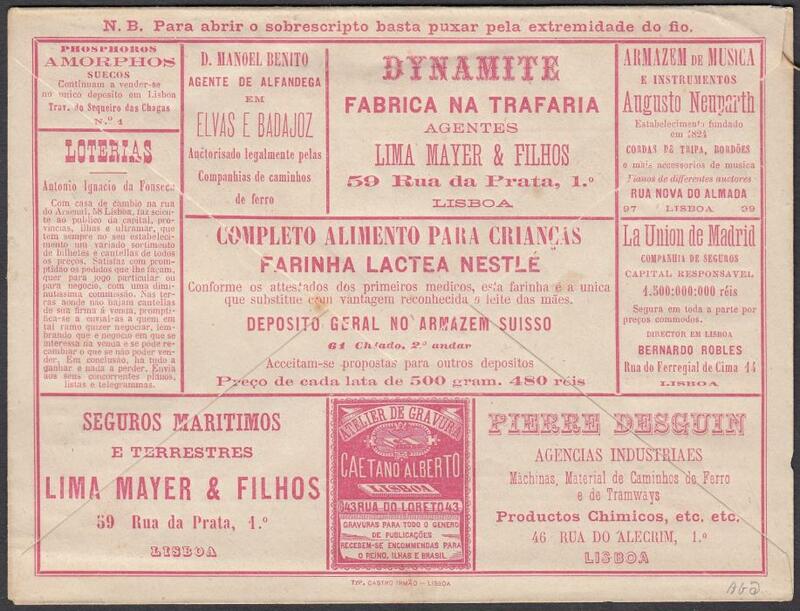 1870s formula advertising card with adverts on reverse for Water, Mens' Clothes Shop illustrated and Pawn Broker; unused. 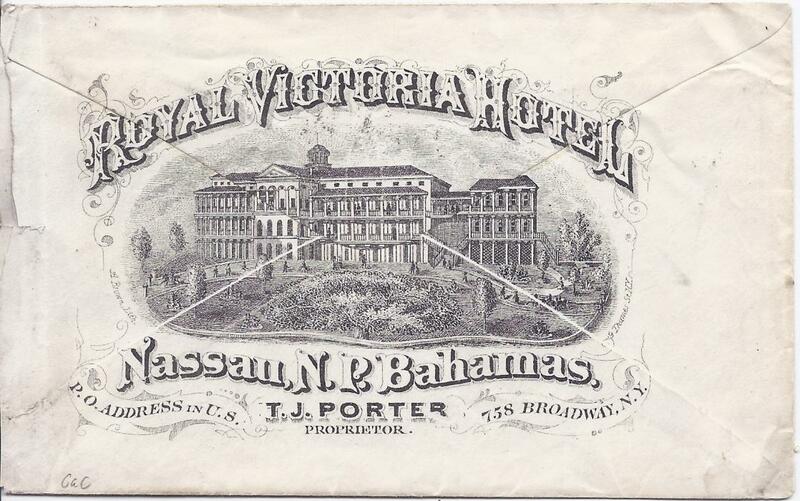 18802 25r, formula envelope with advertising on front in grey-blue and red on reverse including Goldsmith, Cigars, Metal construction with Steam Engines and Bridges, Tea & Coffee, Olive Oil, Chocolate, Porto Crystal Palace with all sorts of goods including Photography. 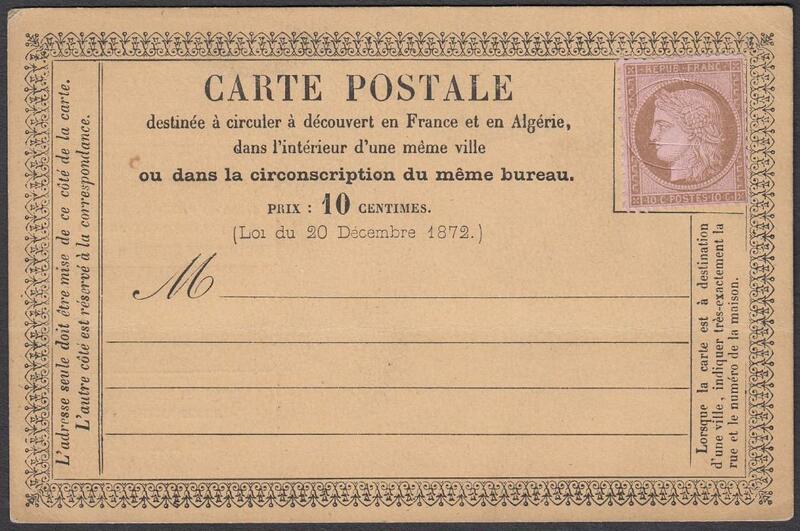 Reverse with Lottery, Dynamite, Music Store, Nestle Milk Powder, Printers, Railway and Tramway materials. Fine, rare early advertising. 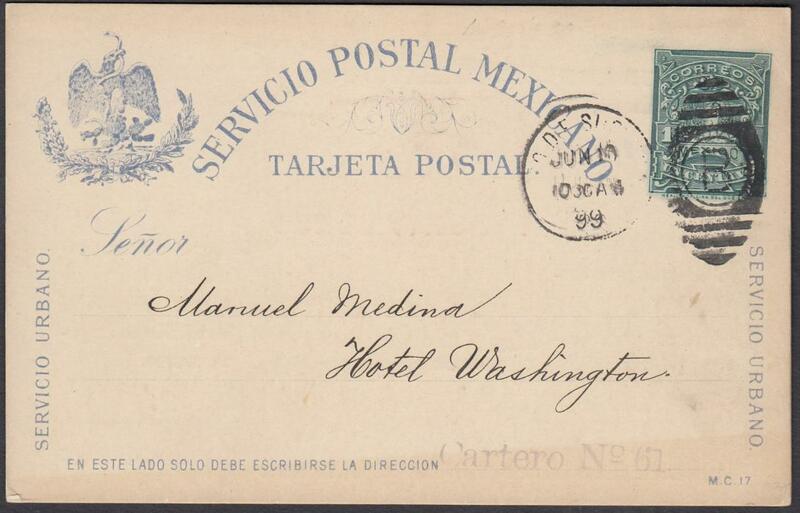 1899 Local Mexico City 'Servicio Urbano' coloured 1c. 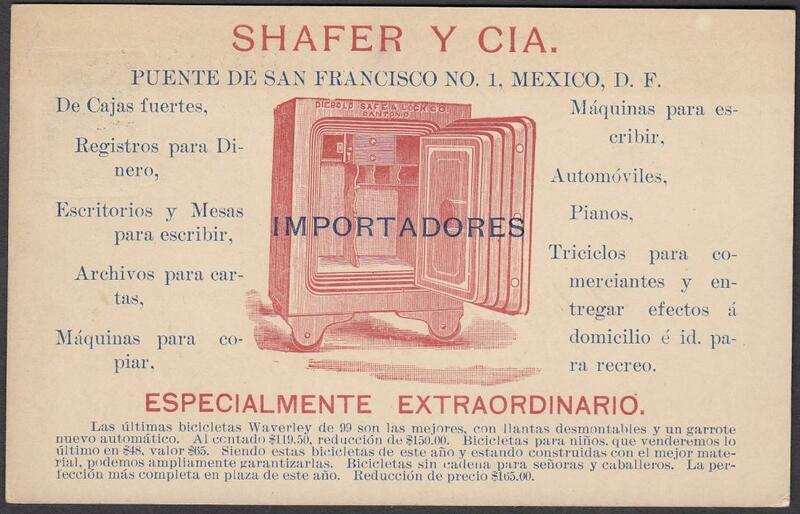 postal stationery card advertising safes of Shafer & Co. of San Francisco. 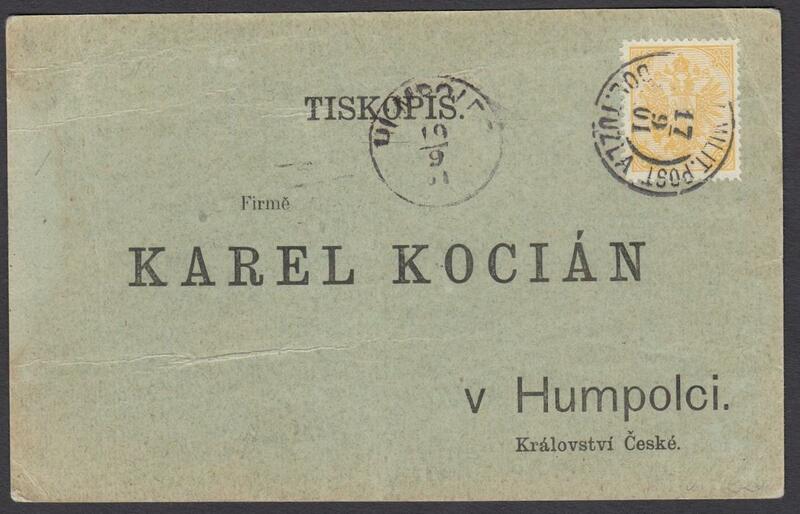 1901 printed advertising card to Humpolci franked 3kr printed matter rate, tied by 'K.u.K.MILITAR. POST/DOL. 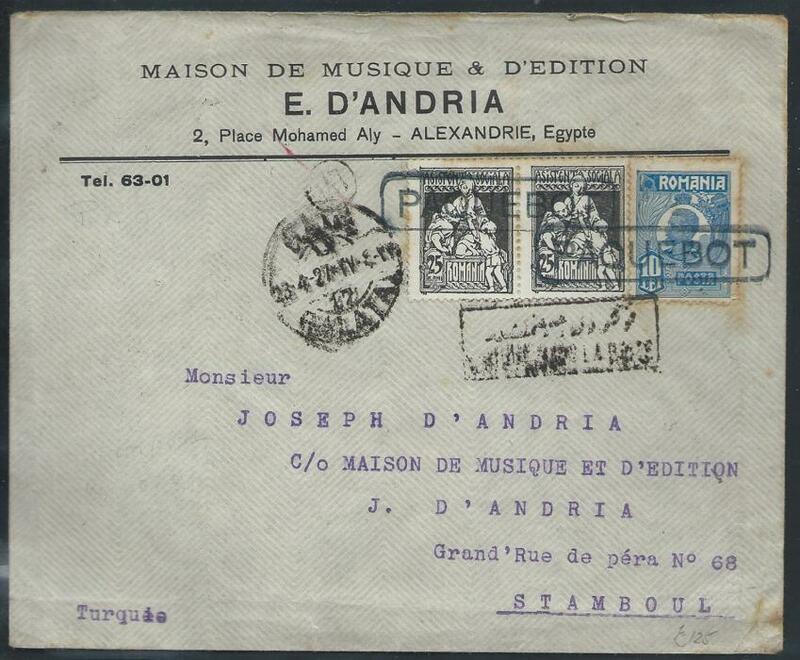 TUZLA' date stamp. Arrival cds also on obverse. 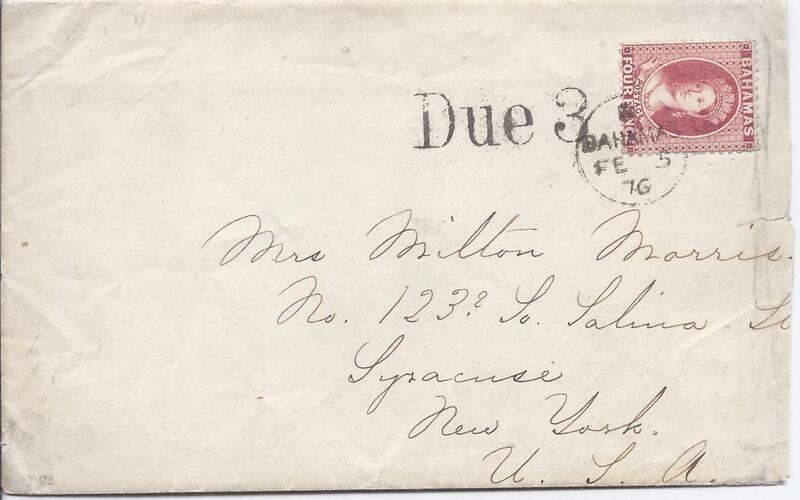 1915 10o. 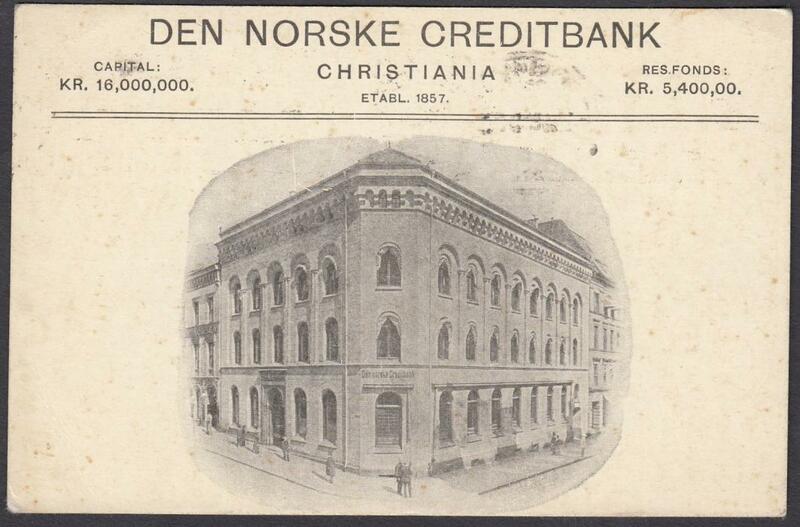 card to Linden with illustrated advertisement on reverse for DEN NORSKE CREDITBANK; unusual. 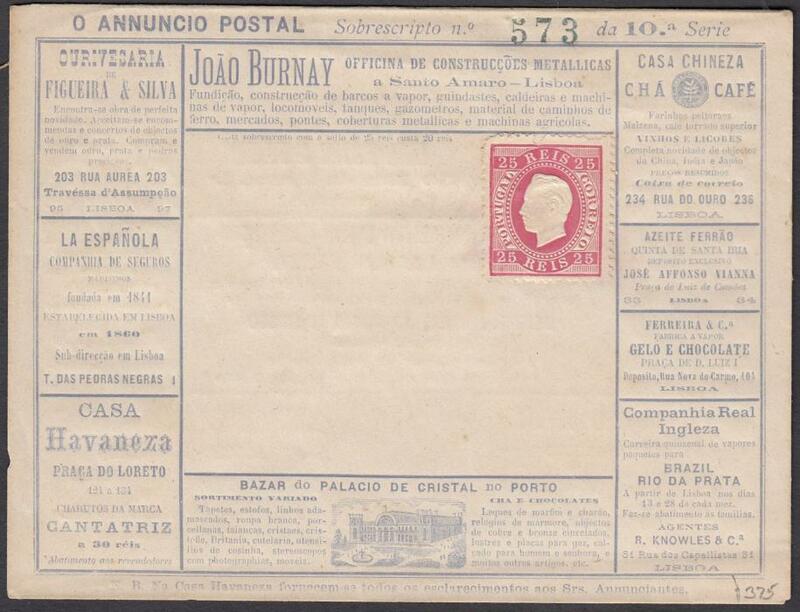 1920s 40c BLP formula letter sheet with internal flysheet. 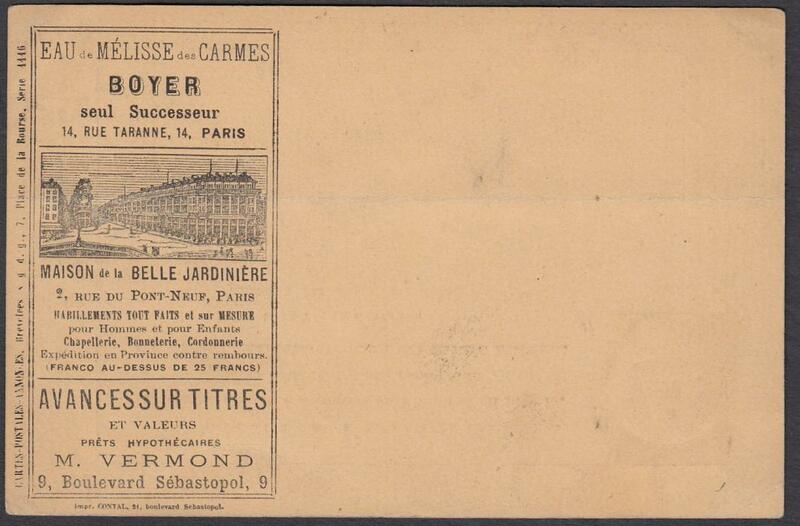 Fine variety of adverts for cement, electric lighting, shoes, carpets, coffee, dairy, umbrellas, cars, garage, rope, perfume and a list of restaurants and cafes. 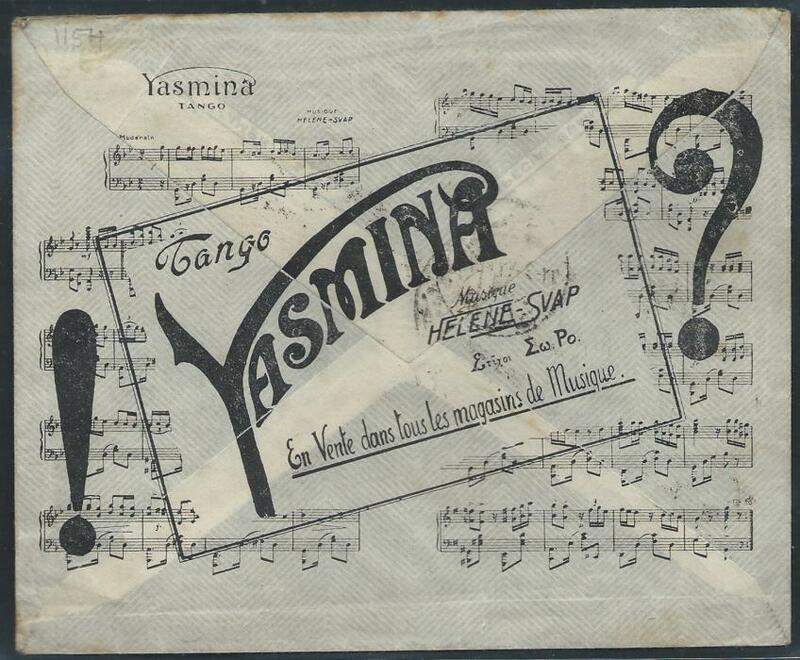 1920s 40c BLP formula letter sheet without internal flysheet. 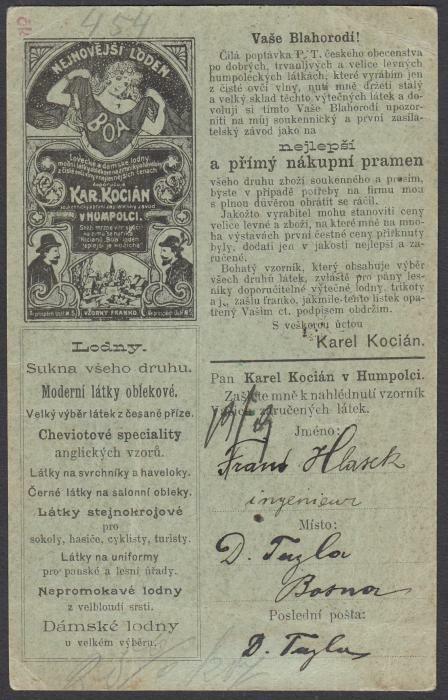 Good variety of adverts including illustrated gun, Health & Sports centre, clothing, shotguns, cars, agricultural machinery, weapons - rifles, pistols. 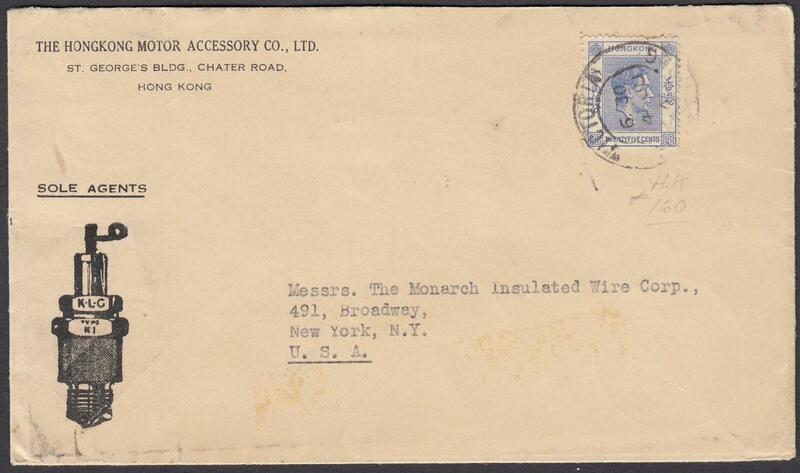 1940s illustrated envelope of 'THE HONG KONG MOTOR ACCESSORY CO LTD.' to New York with carburettor illustrated on front, reverse with enamel paint, wheel hub, Acme Paint and Oxidite Battery plus a radio. 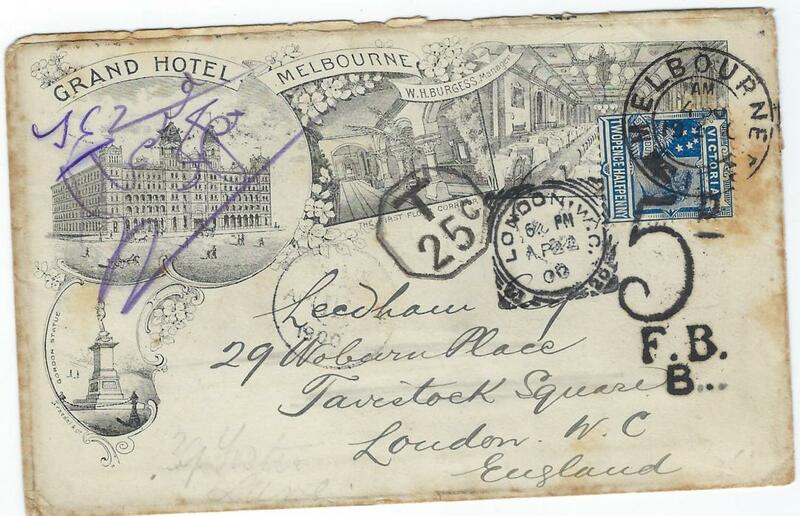 Victoria: 1900 �Grand Hotel� Melbourne illustrated advertising cover to London bearing single franking 2 �d. 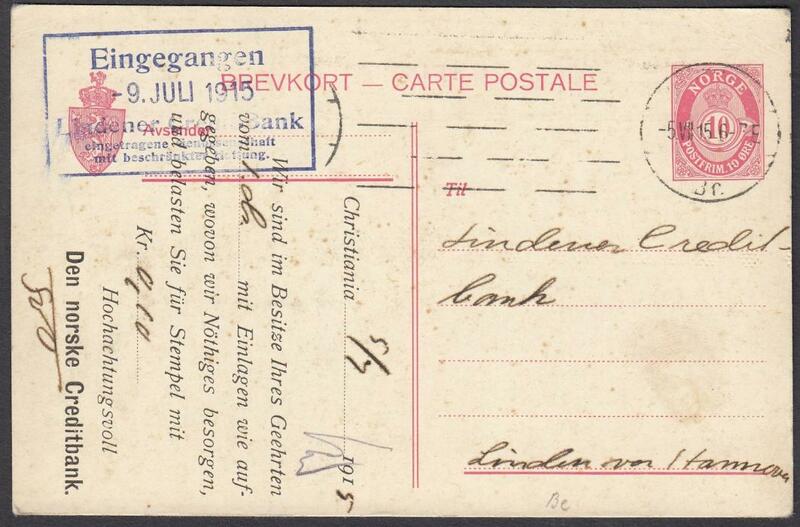 tied double-ring cds, underfranked with octagonal framed T/25c and then, on arrival a 5d/ F.B./B. 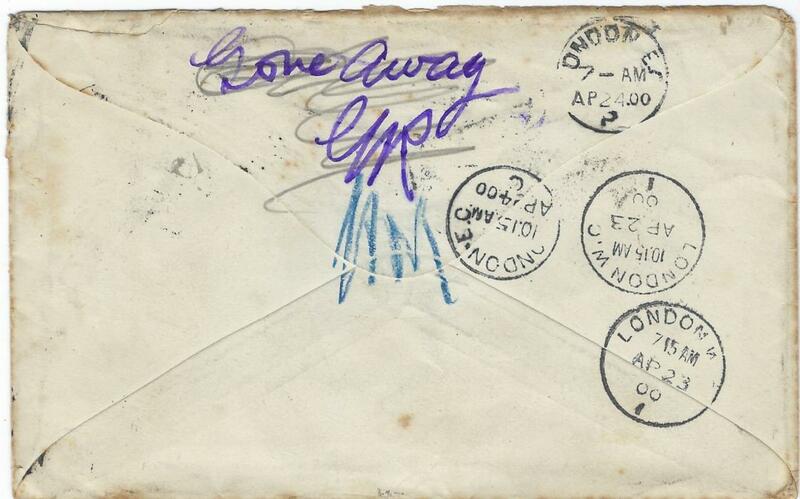 Applied with square circle date stamp, reverse with various London cds and violet manuscript �Gone Away � and signed.